Nashville Vineyard puts so much value in our Worship. We were created to Worship the living God. We never miss a moment to worship Jesus in any way we can. Our Worship Ministry is full of dedicated servants who want to lead our community in the best way they know how. 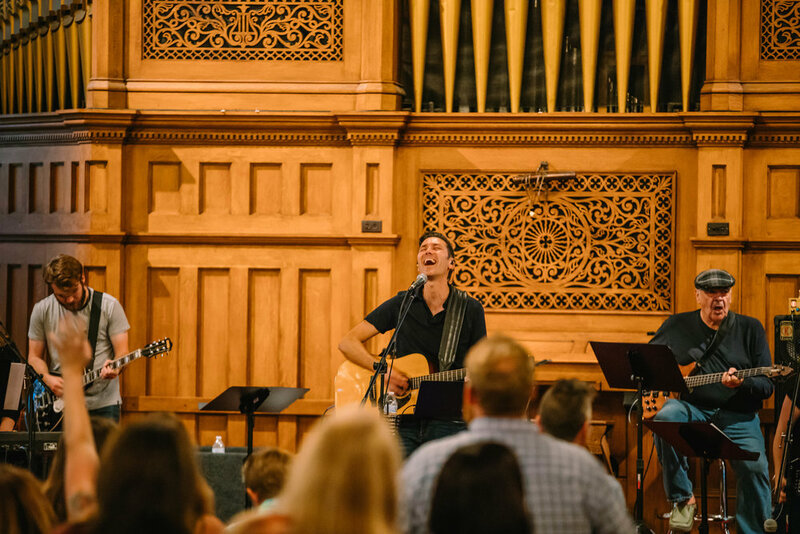 Find out more about our Worship Ministry here. We love kids here at Nashville Vineyard. We believe that there is no jr. Holy Spirit & that God loves to do some pretty crazy things through our young ones. Our Kids Ministry is dedicated to preparing the kids to be future leaders in The Holy Spirit. Find out more about our Kids Ministry here. Small Groups are vital to the health of our church. Small Groups give us a better opportunity to grow individually, a space where we can ask the questions of our hearts and have honest an open discussions with friends in Christ. We have Small Groups throughout the city and the week so we can be sure everyone has a place they can feel welcome. Find out more about our Small Groups here. Prayer is such a powerful tool we’ve been given through The Holy Spirit. We believe we have been called to use that power to do all kinds of things for Christ in this world. We want to equip anyone and everyone to use prayer against the enemy in our church, our community, and our city. Find out more about our Prayer Ministry here.